Tamalpa Institute founded in California in 1978, by Anna Halprin and Daria Halprin, is a non-profit movement-based expressive arts organization. It is an internationally recognized school for dance/movement-based expressive arts education and therapy. The work originated at Tamalpa Institute has been taught and facilitated internationally and represented by innovative performance work around the world for over 50 years. Tamalpa Institute was the first movement-based expressive arts therapy training and art-based, somatic movement therapy training program in the field. The Institute continues to be a center for research, collaboration, workshops, training programmes and performance and is now expanding internationally with the new international branches. A significant part of the Tamalpa Life Art work is related to the history of its originator, Anna Halprin, and her innovative work as a dancer, performance artist and teacher. 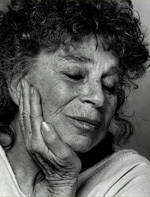 In the late 1950's dance pioneer Anna Halprin began a radical reshaping of dance that took it from the exclusive ranks of dance as a performing art to the universal context of dance as a healing art. In the early 1960's Anna began collaborating with other artists and leaders in a groundbreaking movement that was to bridge the fields of dance/movement, art, performance, somatics, psychology and education. These collaborations included exchanges between Anna's dancers group and Fritz Perls (founder of Gestalt therapy), Moshe Feldenkrais (Awareness Through Movement), Carl Rogers (Person-Centered Therapy), and Thomas Gordon (confluent education). The dancers group also collaborated with Anna's husband, environmental designer Lawrence Halprin, the Fluxus group of New York, and others in the avante garde movement. The questions being explored were, What can the arts tell us "here and now" about the experience of being human? What do we know experientially, and what can we learn about the body/mind/spirit connection in our lives today? Influenced by these collaborations and by her work with the dancers and artists who gathered around her, emerged what Anna Halprin called a "Life/Art Process®" — an approach based on working with peoples' own life experiences as the utmost source for artistic expression. From its beginnings, the work was grounded in group learning, group creativity, and the actual life experiences of those she was working with. The work took place in spaces that extended from the dance studio and performance stage, to urban city streets and natural outdoor environments. 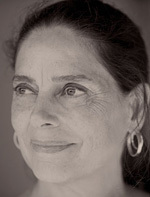 Daria Halprin, a young dancer, performer and participant in Anna's earliest dancers' groups and performance company, was inspired to continue studies with Fritz Perls in Gestalt therapy, and went on to pursue the interface between dance, psychology and theater. She brought these influences to the forming of Tamalpa Institute where she worked on developing the bridge between movement, art and psychology that informs the approach today. Following two decades of collaborative experiments and exchanges, workshopping, research and performance works, Tamalpa Institute was formed with a vision to refine, articulate and teach an approach that would be a creative, healing and transformative process in the lives of individuals, groups and communities. Through collaborative research, teaching and exchanges with colleagues in interdisciplinary fields of practice, the institute continues to evolve in response to new developments in related fields and to the challenges and compelling themes of contemporary life. Senior teaching associates at Tamalpa Institute: G. Hoffman Soto, Jamie McHugh and Ken Otter have all been collaborators, contributing their own developments to the training's. Over the past 30 years the body of works has metamorphosed from being referred to as the ‘Life/art process’, into ‘Halprin life art process’ and now what is widely known as the ‘Tamalpa life/art process®’ (or frequently referred to as ‘Tamalpa Work’, Tamalpa Approach or ‘Tamalpa’ for short). The Institute and branches guiding purpose is to explore and respond to the question of how the expressive arts might contribute to a more embodied, creative, and participatory world in which art as a healing force is fostered.